The app allows users to search for video clips from television shows and movies, and share them with others through text message, social media and more. VidSpace has announced the launch of its new iOS app: A Video Meme App. Otherwise known as ‘Veme,’ the app is a simplified version of the company’s VidSpace for Messenger, and allows users to search for video clips from television shows and movies, and share them with others through text message, social media and more. Veme allows users to browse featured video memes, or browse memes based on categories such as ‘love,’ ‘angry,’ ‘fails’ and more. The app’s video library is user-generated (videos are uploaded from VidSpace’s website), so users can also browse the latest memes added to the platform. Finally, users can search for clips using key words. 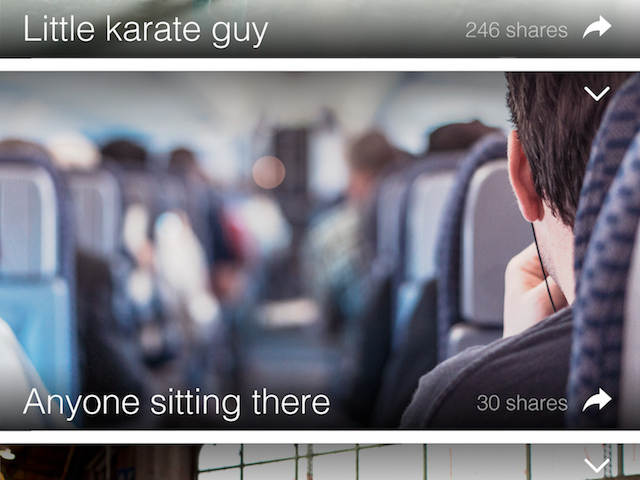 Users can preview video clips within the app, and can add a caption to a clip before sharing it outside the app. The app allows users to share clips through text message, Facebook Messenger, Facebook, Twitter and other platforms, or save clips to their camera roll to share on other platforms. Memes are now mainstream. Everyone can make them. You see them all over the Internet and social media. Video memes, however, are usually terrible quality with ugly text and cluttered with watermarks. A video meme is a powerful form of expression. Our goal is to bring the video meme to the mainstream. A Video Meme App is now available to download for free on the iTunes App Store.